14th May marks the start of ‘New Homes Week’, a chance to discover all of the amazing reasons why buying a new build might just be the best decision and investment you ever make. Getting on the property ladder can be very hard for many of us, especially the younger generation. New builds often come with various schemes that can make the process much easier. From the Help to Buy Scheme to no stamp duty for first time buyers. New homes come with far more than they used to. With stylish, fitted kitchens and integrated appliances, you will get the best on the market at a reasonable price. From under floor heating to built-in wine coolers, there’s much to love. New builds are built to the latest environmental standards, with better insulation, double glazing and high quality roofing and flooring. Not only are they more eco-friendly but also cheaper to run. Everyone wins! Many new builds come with a 10 year warranty issued by the NHBC, giving you peace of mind and reassurance. The average new build will leave you with a blank canvas. Most will be painted a shade of cream or white throughout, giving you the opportunity to get really adventurous with your interior design and colours. New builds are designed and built with the consumer in mind. Today, convenience and sociable layouts are top of most people’s priorities. With en-suites and well designed kitchens and dining areas, there’s an obvious reason to buy a new build today. These are just a snapshot into why buying a new build is a great option. 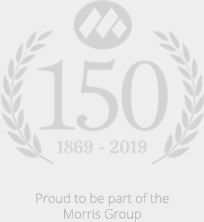 To find out more about Morris and Co Homes new builds, click here.